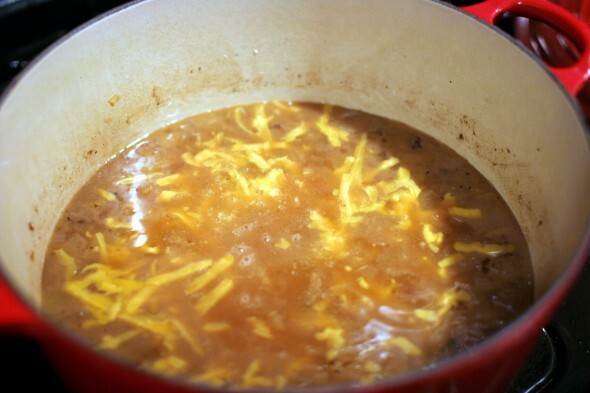 Other soup posts: French Onion with Braised Short Ribs. So here’s soup recipe #2 this week. Every word in this recipe title does it for me. 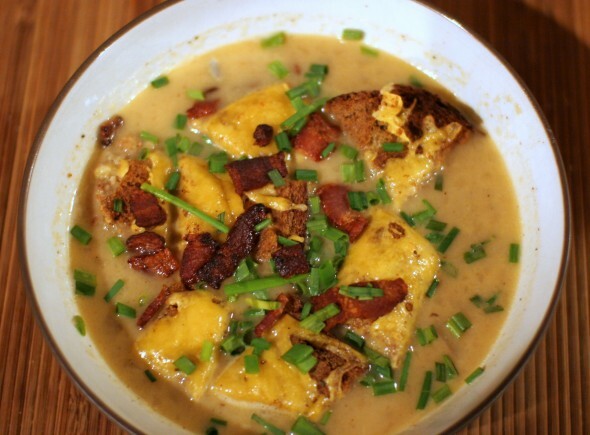 This is another Food Network recipe (I really have been cooking a lot of their stuff this year), and it’s basically a potato soup with apples blended in. But it also works on the great pearl of wisdom that apples and cheddar are a match made in heaven. 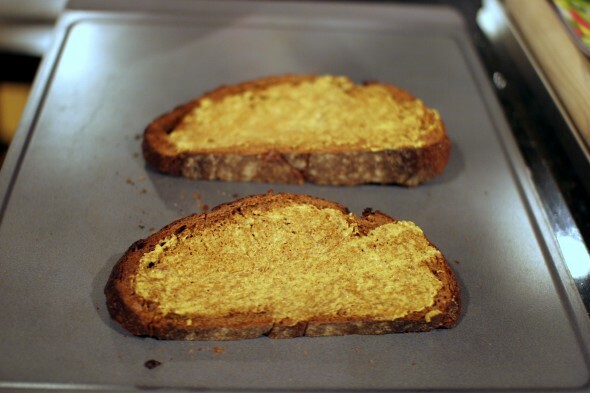 It is so deliciously autumnal, and very easy to make. Ultimate weeknight stuff. 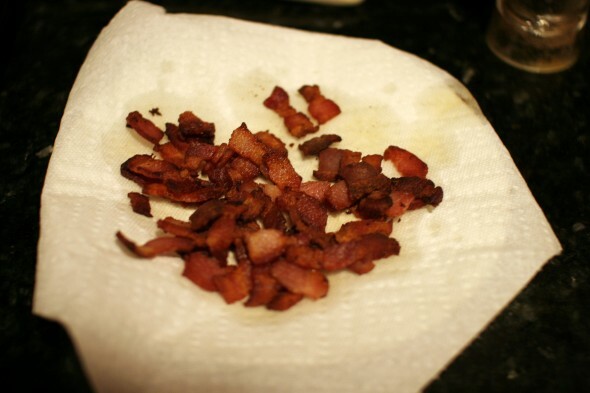 Cook the bacon in a large pot over medium heat until crisp, 4 to 5 minutes per side. Transfer to paper towels to drain; let cool slightly, then roughly chop. 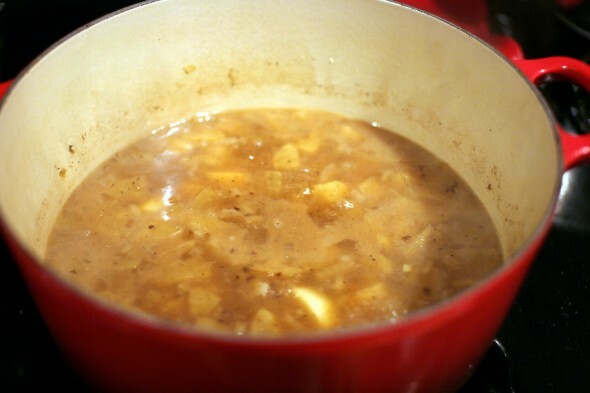 Pour out all but 2 tablespoons of the drippings from the pot. Increase the heat under the pot to medium high. Add the onion, apples and potato and cook, stirring frequently, until the apples are soft, about 8 minutes. 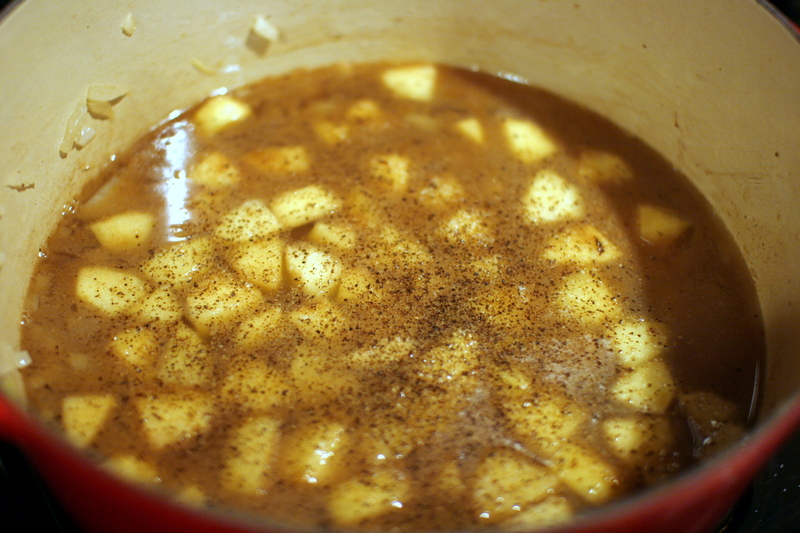 Add the chicken broth, apple juice, 3/4 teaspoon salt, and pepper to taste. 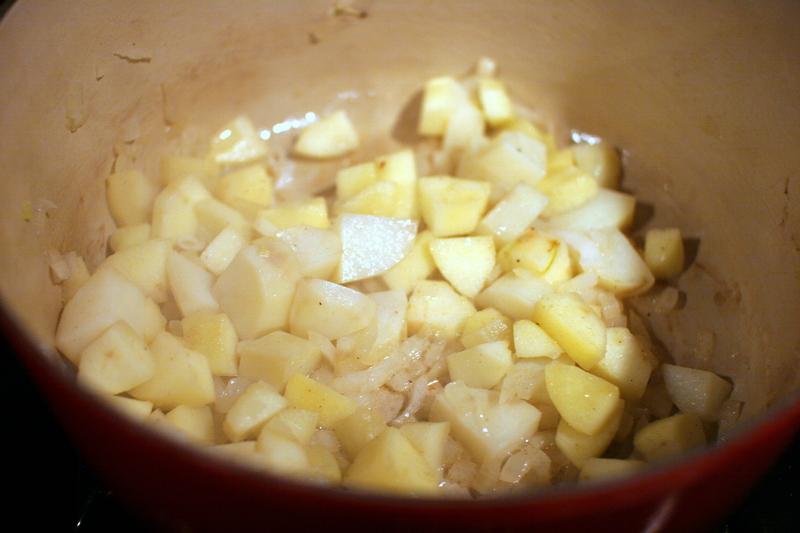 Bring to a simmer and cook until the potato is soft, 10 to 12 minutes. Stir in all but 2 tablespoons of the cheddar until melted. 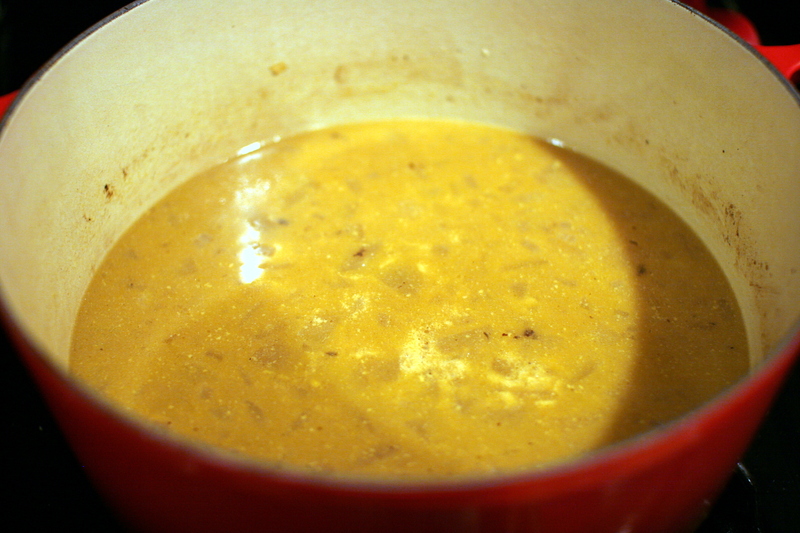 Working in batches, transfer the soup to a blender and puree. 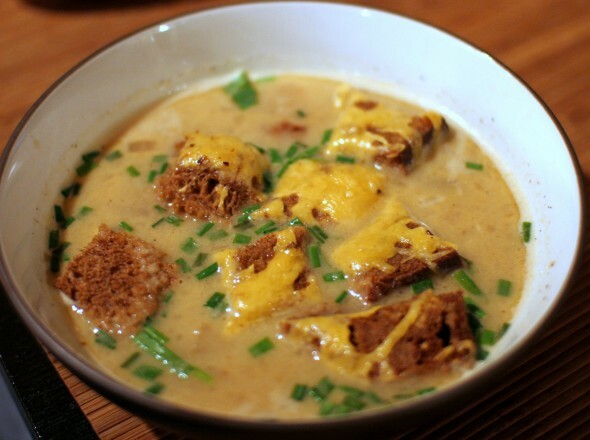 Return to the pot and season with salt and pepper. Meanwhile, preheat the broiler. 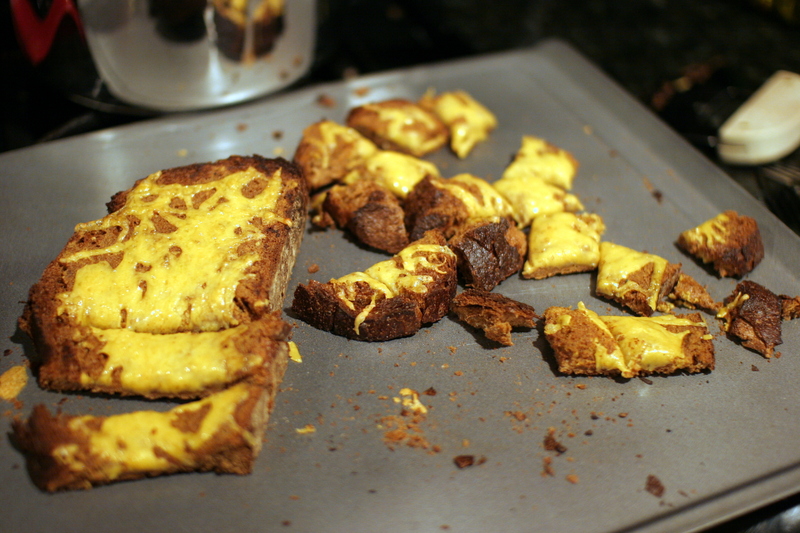 Spread the bread with the mustard and sprinkle with the reserved 2 tablespoons cheese. 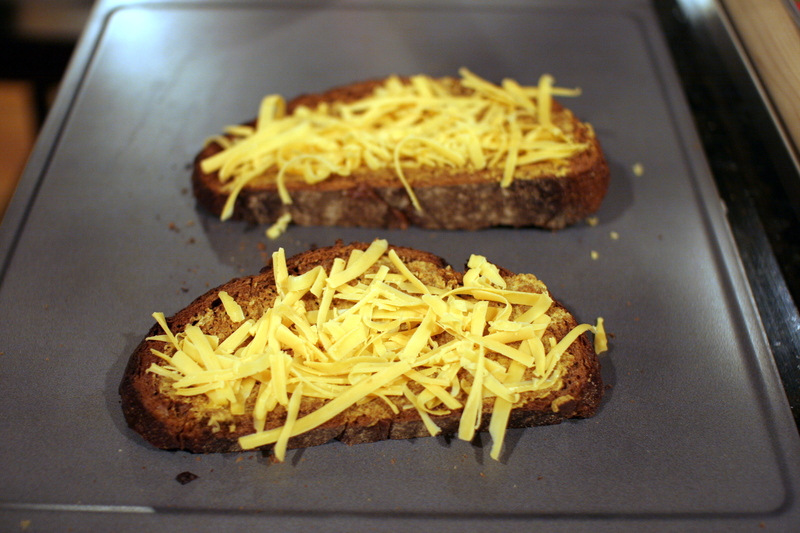 Broil until the cheese melts, about 30 seconds, then cut into 1-inch squares. Ladle the soup into bowls and top with the bacon, chives, cheese croutons and more pepper.